Brandon Adams was a 21 year old Junior at Georgia Tech. On the evening of March 23rd Adams and some friends were reportedly walking around campus when he suddenly collapsed. He was rushed to the hospital by his friends where he arrived alive but then later was pronounced dead. Reports say that Adams and a group were practicing stepping in a garage, when they stopped for a water break and Adams collapsed out of nowhere hitting his head on the way down. Throughout history there have been many iconic sports movies made. Some more recognizable than others. There are some great sports movies that everybody knows or at least should know. Here is a list of the top 15 sports movies made, in no particular order. Meek Mill a current rapper was released from prison this Tuesday after fighting a two to four year sentence for probation violation. The first thing that Mill did when he was released was go to his hometown, Philadelphia 76er’s game 5 against the Heat. Mill being a huge 76er’s fan showed up in a Joel Embiid jersey and sat court side with team owner Michael Rubin and comedian Kevin Hart. Mill was also the one to ring the Ceremonial Liberty Bell before the tip off of the game, receiving a thunderous applause from his hometown. Chiefs lineman Laurent Duvernay – Tardiff would like to add the suffix M.D. to the back of his jersey. He wants to celebrate one of his personal accomplishments. He’s set to finish medical school this offseason and become the first NFL player to take the field while holding a medical degree. Around you see many players with surnames on the back of their jersey such as Jr. or Sr. or even some with the III. He has already reached out and talked to the league about adding M.D. and he said that they responded with “Anything is possible”. He didn’t even plan on playing in the NFL when he enrolled into medical school. So when he was drafted 6th round by the Kansas City Chiefs he had to talk to the dean at his school to devise a plan about him coming to school only during the off season for the NFL. After the Monday night basketball game against the Rockets and the Clippers things got heated. With Blake Griffin and Austin Rivers being the main antagonists of the situation. 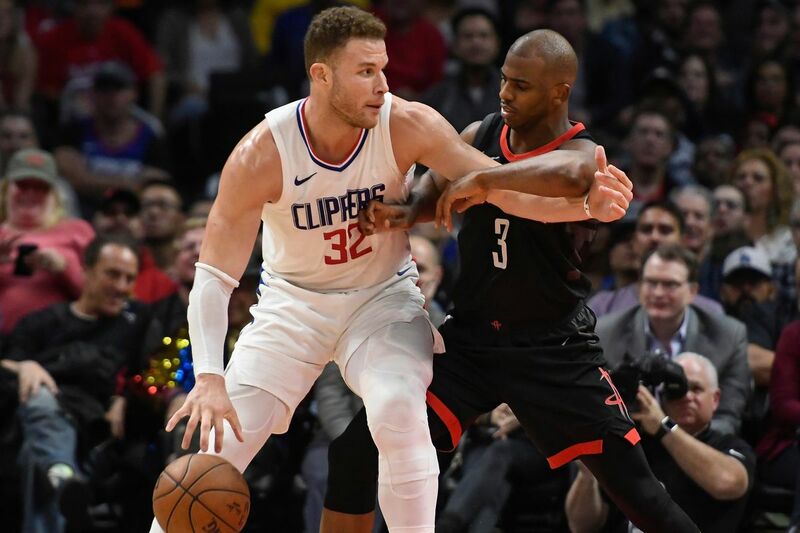 Things started to get chippy in the game when Blake Griffin ran into the Rockets head coach while he was arguing with the ref, the two then continued to exchange words resulting in a Blake Griffin technical. Need a new show to watch on Netflix? Can never find the right show to watch? Get bored with Netflix shows too easily? Well look no further! Here are the top 15 shows on Netflix! Now these titles are in no specific order from best to worst to watch they are all great shows worth the time to watch. 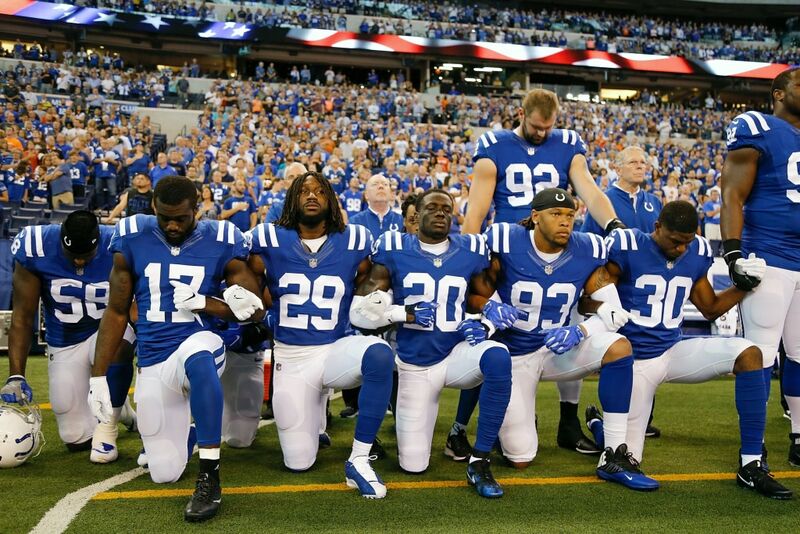 As you may have seen this past Sunday football teams and players all across the country took a knee during the national anthem or stood together and locked arms some even took it as far as to staying in the tunnel. This act of protest was not an act against the country or what the flag itself represents it was an act towards the President of our country. Donald Trump took to Twitter this weekend scolding the league and the players.